A mum officially earned herself the title of coolest hairdresser as she transformed her daughter’s hair into a mermaid for ‘crazy hair day’ at school. I’ve heard of non-uniform day and World Book Day, but ‘crazy hair day’ is new to my knowledge of school events. The occasion seems to be pretty much what it says on the tin; a day where students and staff can express themselves by using their hair as a tool to create some weird and wonderful scenes. 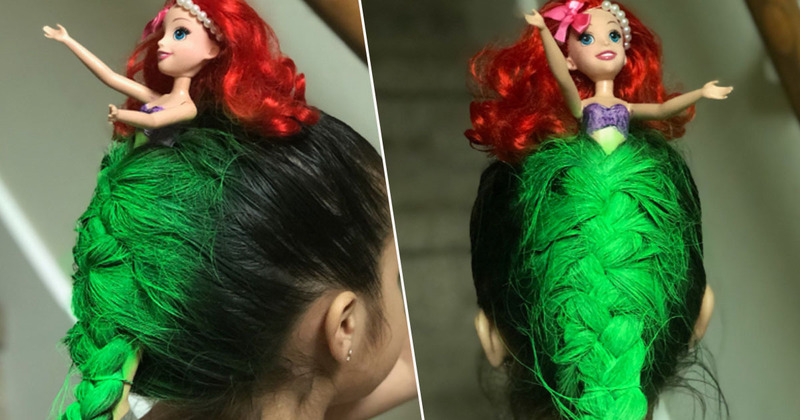 Some re-imagine their locks as liquid and attach plastic bottles to their heads, and others turn their hair into monsters, but April Castillo from Houston, Texas, was committed to blowing everyone away with a very out-of-the-box idea for her daughter’s look. For crazy hair day, four-year-old Atlantis had her ordinary plait transformed into a Disney princess. 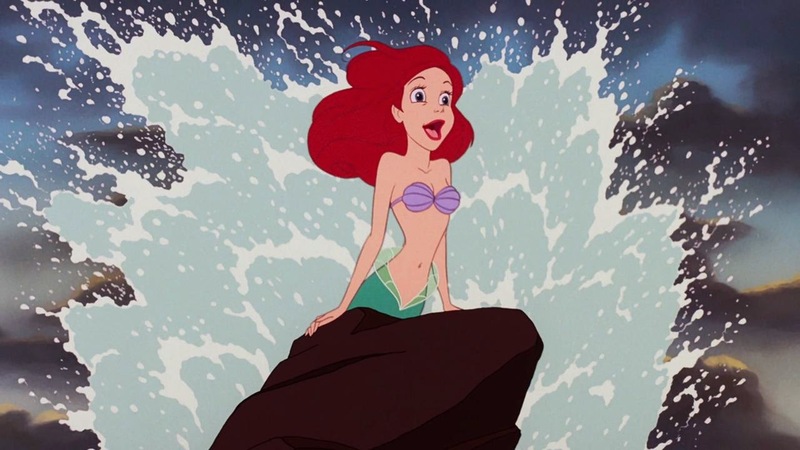 And I don’t mean her hair simply resembled that of a Disney princess’, but rather her hair was the princess. April styled her daughter’s hair into a plait and tucked an Ariel doll, complete with red hair and purple bikini, into the top of the do. Her hair was coloured green with temporary spray and split into two at the bottom, meaning the end result perfectly resembled the little mermaid’s tail. [Atlantis] loved it so much and didn’t want to take it off. She even went to her gymnastics class with her hair like that. Ariel shared pictures of the creative hair on Twitter, explaining it’d been a great success. Yes my sister did win crazy hair day!! She’s only in pre-K lmao [sic] y’all just wait for my mom the upcoming years. I’m not surprised Atlantis’ hair took first prize. Definitely one which would be hard to beat!